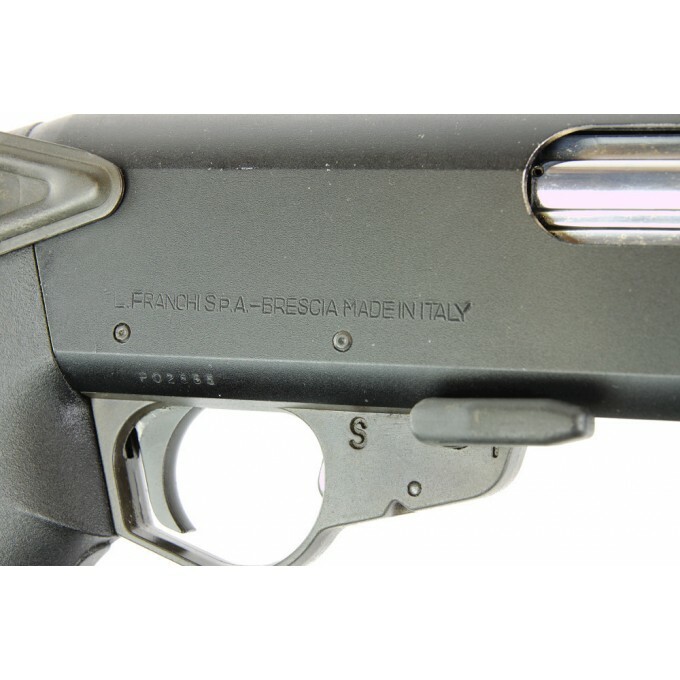 Pump-action 12 gauge 3" Luigi Franchi PA8L. 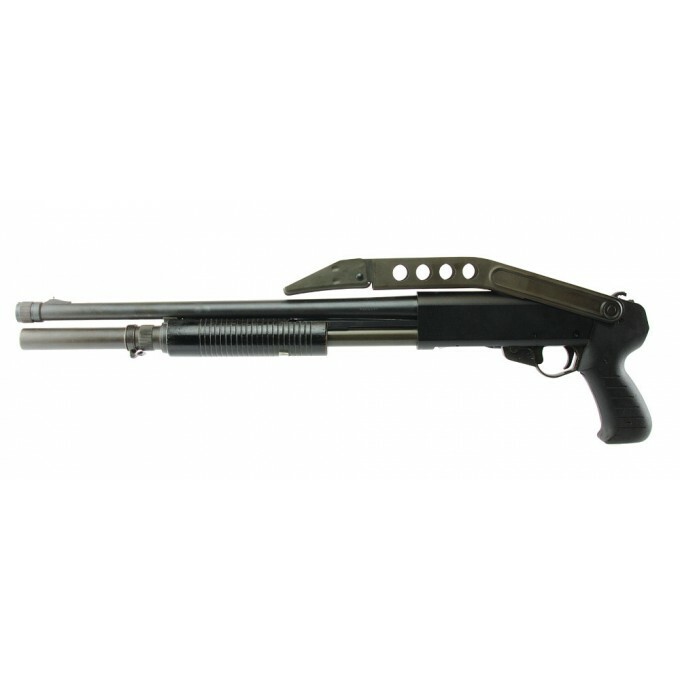 The PA-8 is a pump-action shotgun with metal folding stock, a plastic pistol grip, tubular magazine below the barrel and rearward sliding pump-action mechanism. The iron sights are rather simple. 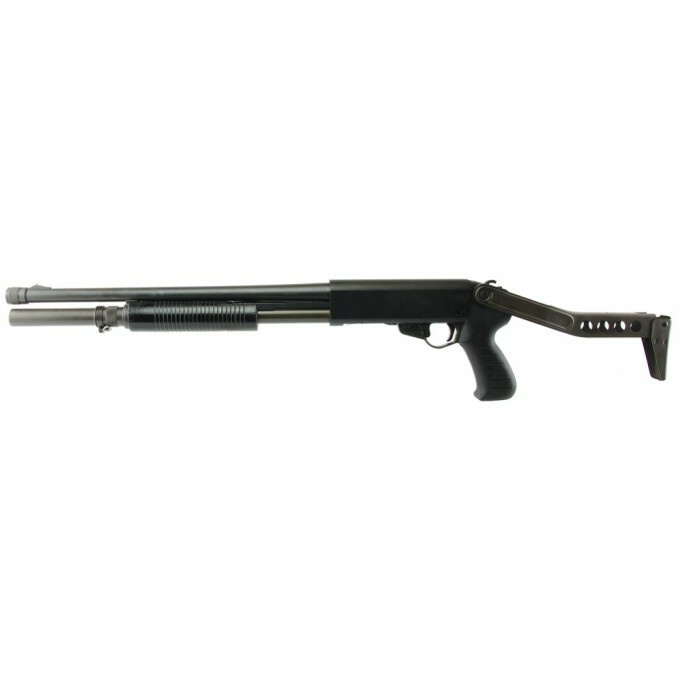 Internally chromed 46 cm barrel. 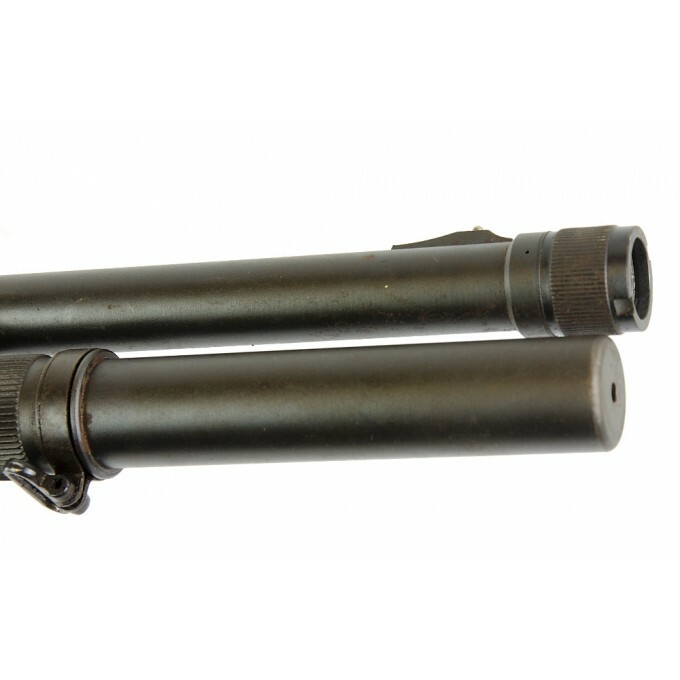 equipped with a cover thread bushing. 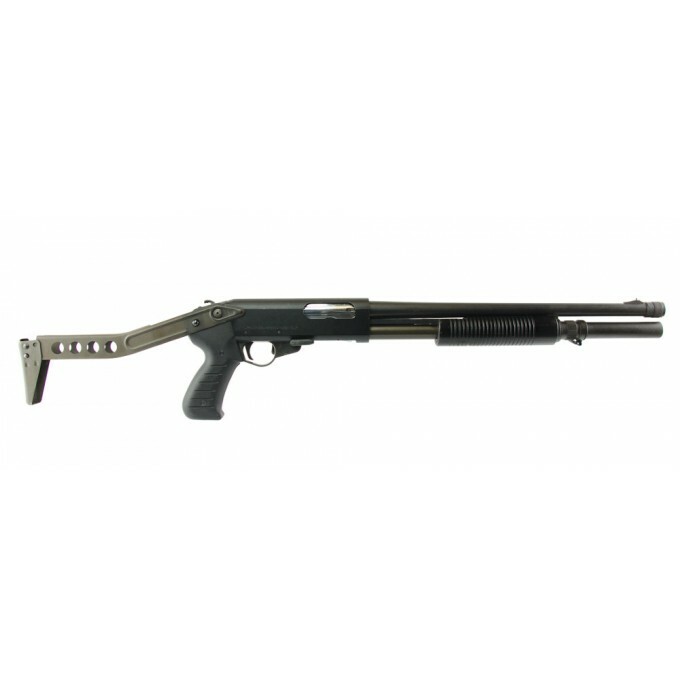 The PA-8 features its own unique folding stock, but can also be outfitted with the SPAS-12's stock with the hook, as well as the fixed and removed stock options. 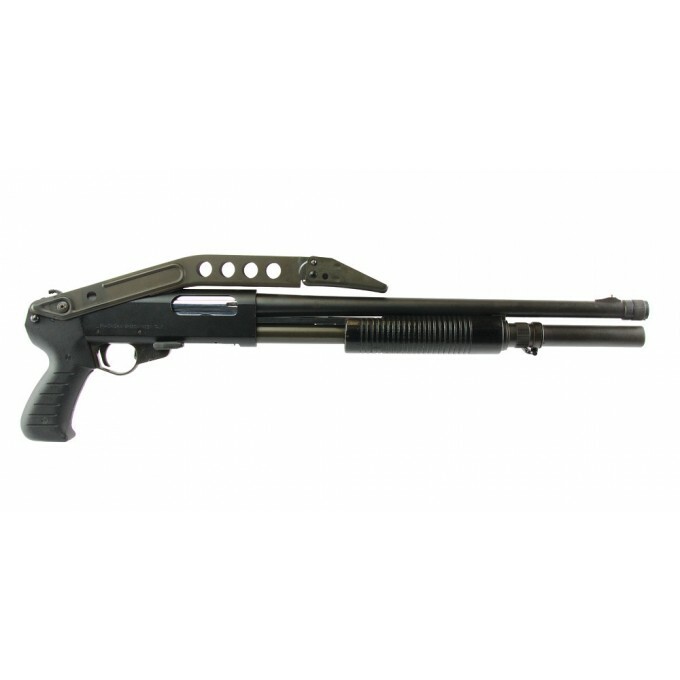 The PA-8 is a shotgun of Italian origin developed by Franchi as a less cumbersome and less menacing alternative to the SPAS-12 for law enforcement use.